A trip of a lifetime that covers all the highlights of Peru, the beautiful old city of Quito in Ecuador, and an incredible Galapagos cruise. See the contrast between old and new Lima, visit archaeological wonders and textile communities in the Sacred Valley, and of course see the incredible Inca citadel of Machu Picchu. You’ll also visit the beautiful colonial city of Cusco filled with treasures from its Inca and Spanish legacy. Next you’ll move on to Ecuador, discovering the delights of the capital Quito, including a visit to the Mitad del Mundo (middle of the world) where the equator line is located. Finally, you’ll fly to the Galapagos Islands for an incredible 6-night cruise, getting up close to the unique and wonderful wildlife and scenery. Enjoy this Peru and Galapagos tour with responsible travel company, Good Life Expeditions. This trip will be the perfect combination of adventure and relaxation, and our expert travel team will take care of all the arrangements for a smooth trip from start to finish. Day 4: Full day private tour of the Sacred Valley. Choose from Ollantaytambo fortress, Chinchero market town, the salt ponds of Maras and the Moray archaeological site. Overnight in the Sacred Valley hotel. Day 7: Fly from Cusco to Lima for international connection to Quito. Overnight in Quito hotel. Day 8: Full day tour of Quito, including visit to the equator line at Mitad del Mundo and lunch. Overnight in Quito hotel. Day 9: Fly to Galapagos, board vessel for 4 night / 5 day Galapagos cruise. Day 10-12: Galapagos excursions arranged by all-inclusive cruise, including hiking, snorkeling, coastal dinghy rides and more, all lead by an expert naturalist guide. Day 13: Galapagos morning excursion. Depart vessel. Airport transfer for flight back to Quito / Guayaquil for onward travel. Enjoy this Peru and Galapagos tour with responsible travel company, Good Life Expeditions. Contact us. 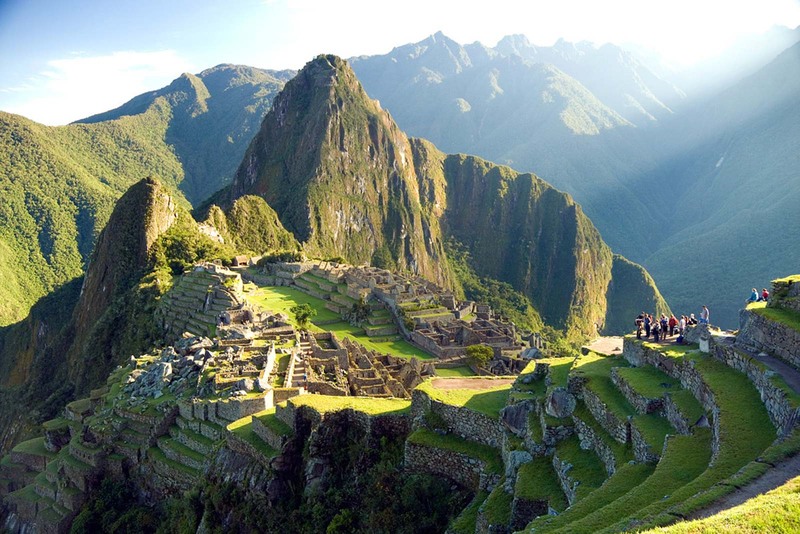 The highlight of Peru for many people is their visit to the ancient citadel Machu Picchu. Enjoy a tour of the ruins with an expert guide, learning about the Incas who built it, and visiting the temples, terraces and all the best spots for photos. Fly back to Lima for your international connecting flight to Quito. In the Ecuadorian capital city, enjoy a full day tour taking in the historic city center with beautifully preserved architecture. You’ll also visit the Mitad del Mundo, where the equator line is located, with a monument and line to take photos with. Fly from Quito to the Galapagos islands to join your all-inclusive 5 day / 4 night Galapagos cruise. All the excursions will be arranged by the cruise provider and led by an expert naturalist guide. You’ll explore the islands on land and by sea, with shore excursions and hikes, coastal dinghy rides, snorkeling, kayaking and more. 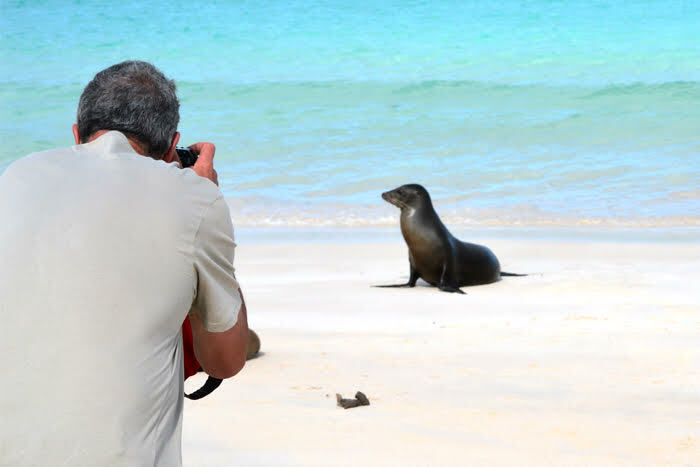 You’ll have close encounters with the incredible wildlife and scenery – look out for Galapagos penguins, giant tortoises, land and marine iguanas, inquisitive sea lions, blue-footed boobies and more. 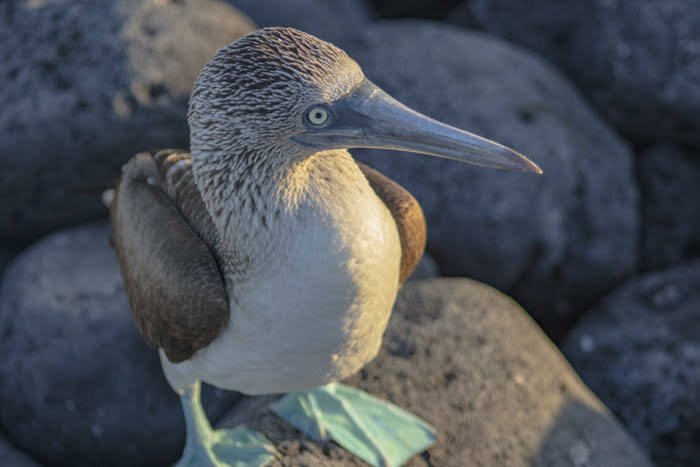 And the end of the cruise, fly from the Galapagos back to mainland Ecuador, either Quito or Guayaquil for your onward travel connections.